Baby PowerPoint templates, backgrounds Presentation slides, PPT Themes and Graphics. Welcome to a beautiful and widest range of Baby PowerPoint Themes. Use our PowerPoint designs to highlight sensitive issues like child development, child care, child abuse, child labor etc. Make your message more impactful with the help of these PowerPoint Background to spread awareness among general public. These PowerPoint slides can also be used as metaphor to market and publicize baby games, baby movies and baby shower ideas. Website dealing in baby names can also use these PowerPoint designs to symbolically depict their business. Unarguably our exceptional gallery makes us leaders in the world of PowerPoint themes. Leading corporate house put their money on our noteworthy themes to give stunning performances and have an edge over the rest of their competitors. Don’t lag behind! Thoroughly explore our showcase of Baby PowerPoint slides and Baby PPT Themes to get enviable designs. You can also download free themes from our website. 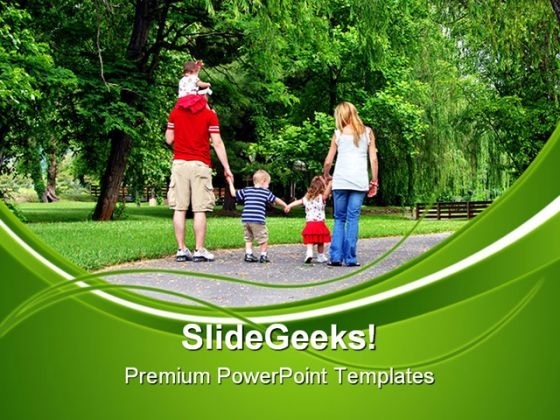 "Microsoft PowerPoint Template and Background with family of six walk together along a quiet park path" Our Healthy Family PowerPoint Templates And PowerPoint Backgrounds 0411 will fill the bill. They allow you to cover for it all. Consolidate successes with our Healthy Family PowerPoint Templates And PowerPoint Backgrounds 0411. Download without worries with our money back guaranteee.